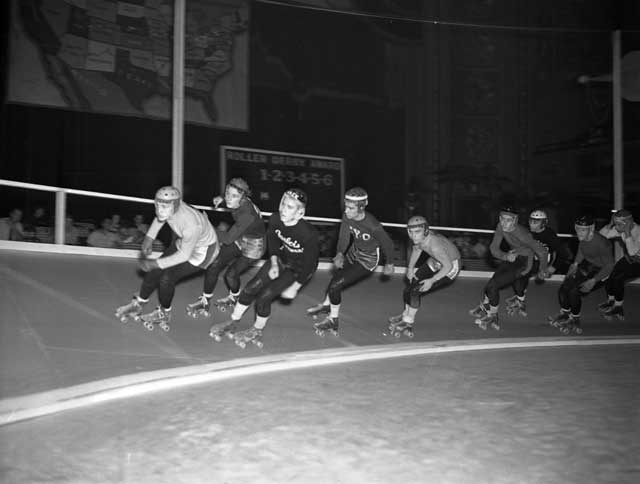 A photograph of a Roller Derby race in progress on August 5, 1937. This image forms part of our Minneapolis and St. Paul Newspaper Negative collection. 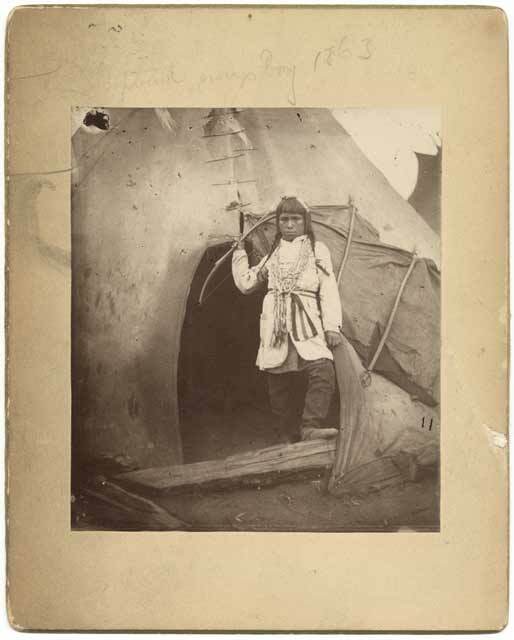 Additional photographs in this series may be available in the library, please view the finding aid. In response to a federal law mandating that all Dakota be removed from the state as punishment for the U.S.-Dakota War, on this date in 1863 Dakota captives at Fort Snelling, mostly women and children, were loaded onto two steamboats to be transported to a reservation on Crow Creek in southeastern Dakota Territory. The total number of people removed was 1,310; many would die of disease and hunger soon after arriving at the reservation. 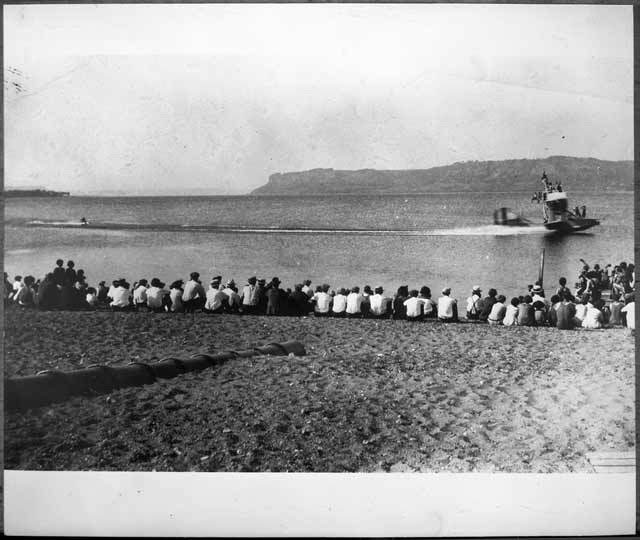 This photograph is of a crowd at Lake City watching Ralph Samuelson water skiing behind a World War I era Curtis Flying Boat, 1925. Samuelson was known as the "father of water-skiing," which started with him on Lake Pepin in 1922. 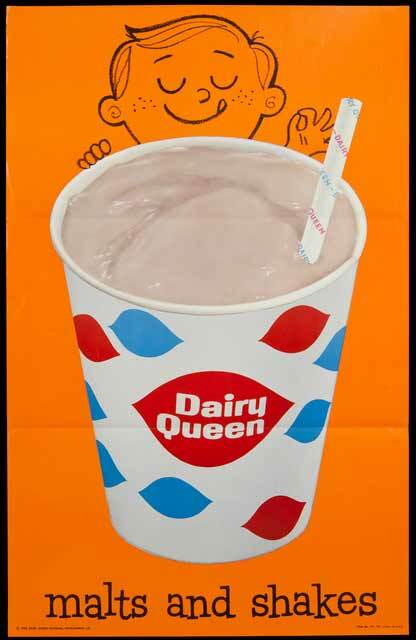 A promotional poster advertising "Dairy Queen Malts and Shakes". Manufactured by Dairy Queen National Development Company, 1959. 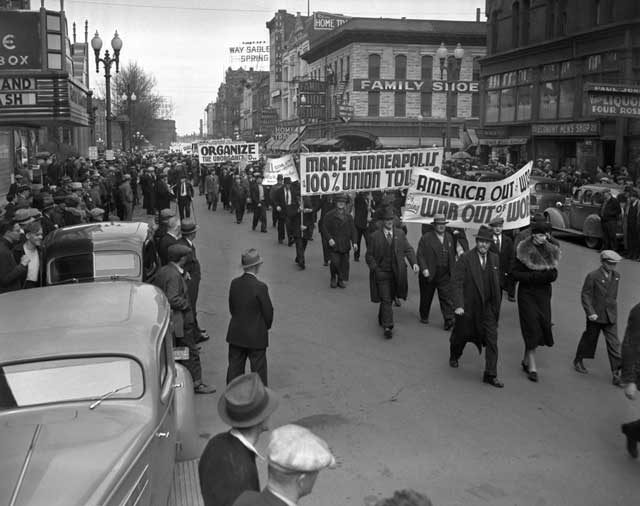 This photograph is of a May Day/Labor/Union parade in downtown Minneapolis on May 1, 1937. This image forms part of our Minneapolis and St. Paul Newspaper Negative collection. Additional photographs in this series may be available in the library, please view the finding aid. 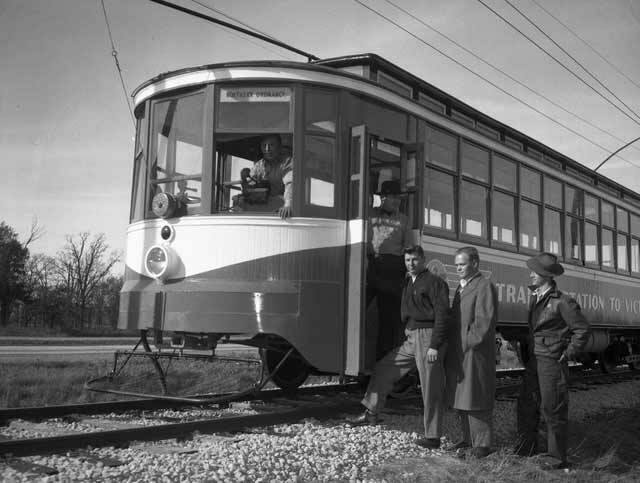 This is a photograph of four men getting on a streetcar bound for the Northern Ordnance plant, October 18, 1943. A Great Northern Railway cup and saucer in the "Mountains and Flowers" pattern. Used in the late 1950s and into the 1960s. 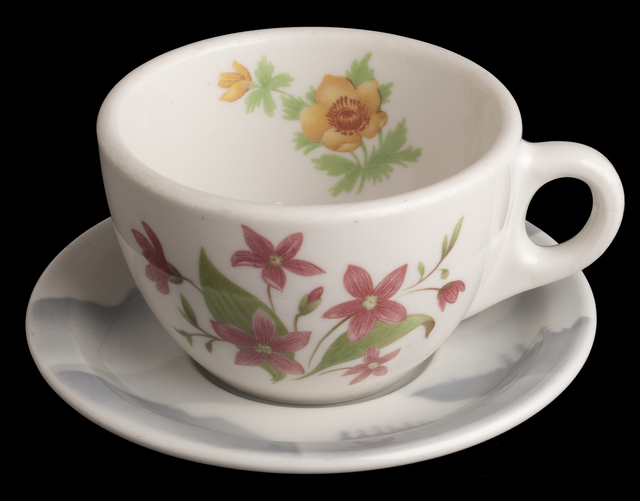 For more information or to purchase a photograph of this item, view this cup and saucer in our collections database. 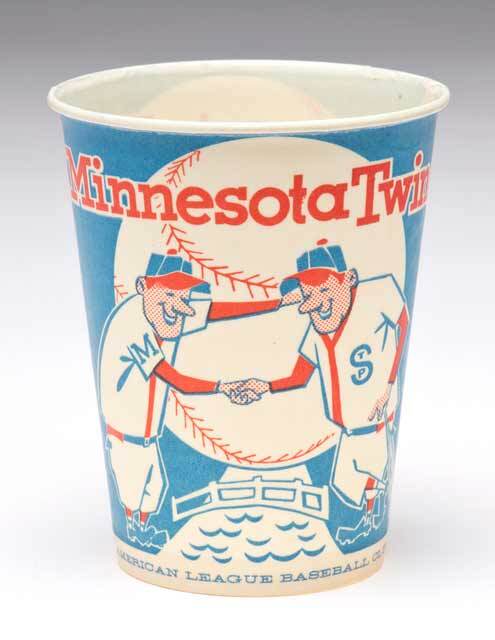 A waxed paper concession cup used to serve beverages at the Minnesota Twins' home games at the Metropolitan Stadium in the 1960's. For more information or to purchase a photograph of this item, view this cup in our collections database. 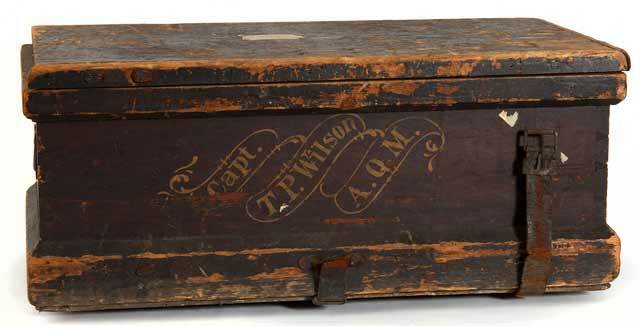 A wooden campaign chest used by Commissary Sergeant Thomas P. Wilson while he served with the 4th Minnesota Infantry Regiment during the Civil War. "Capt. T.P. Wilson" and "A.Q.M" are painted on the front. Wilson was breveted major at the end of the war and began serving as quartermaster general of Minnesota on November 10, 1871. For more information or to purchase a photograph of this item, view this chest in our collections database. 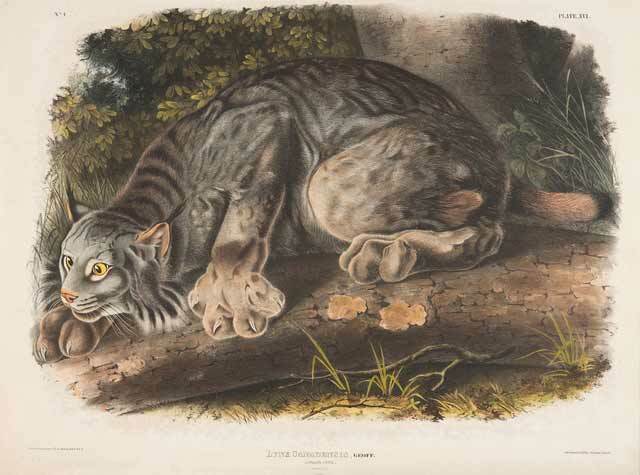 A hand-colored lithograph of the Canada Lynx from John James Audubon's Imperial Folio Edition of The Viviparous Quadrupeds of North America (1843-1848), Folio 4, Plate XVI. The illustrations for this series were made by J.J. Audubon and his son John Woodhouse Audubon. Most of the backgrounds were done by another of J.J. Audubon's sons, Victor Gifford Audubon. The printing and hand-coloring was done by J.T. Bowen of Philadelphia.